The Allahabad High Court prounced its verdict on 30th September 2010. It divided the Ayodhya title into three parts. It awarded a third to Ram represented by Hindu Maha Sabha, a third to the Sunni Wakf Board and a third to Nirmohi Akhara. Currently the Supreme Court is hearing an appeal against the High Court Verdict. On 27th September, a three-judge Bench delivered its verdict regarding the question of the strength of the Bench which should hear the appeal. The Bench ruled that the case need not be referred to a Constitution Bench, stating that the Faruqui judgment does not need to be revisted. Faruqui held that in questions of State land acquisitions, mosques are not an essential feature of Islam. 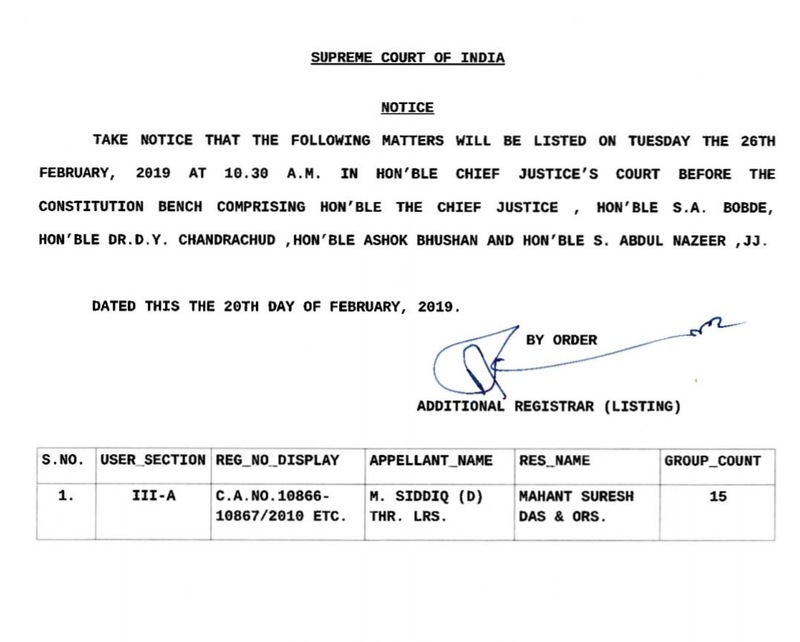 On 8th January 2019, CJI Gogoi reassigned the dispute to a 5 judge Constitution Bench, using his administrative powers. Was the Allahabad High Court justified in dividing the Ayodhya Title between Sunni Waqf Board, the Nirmohi Akhara and Ram Lalla?